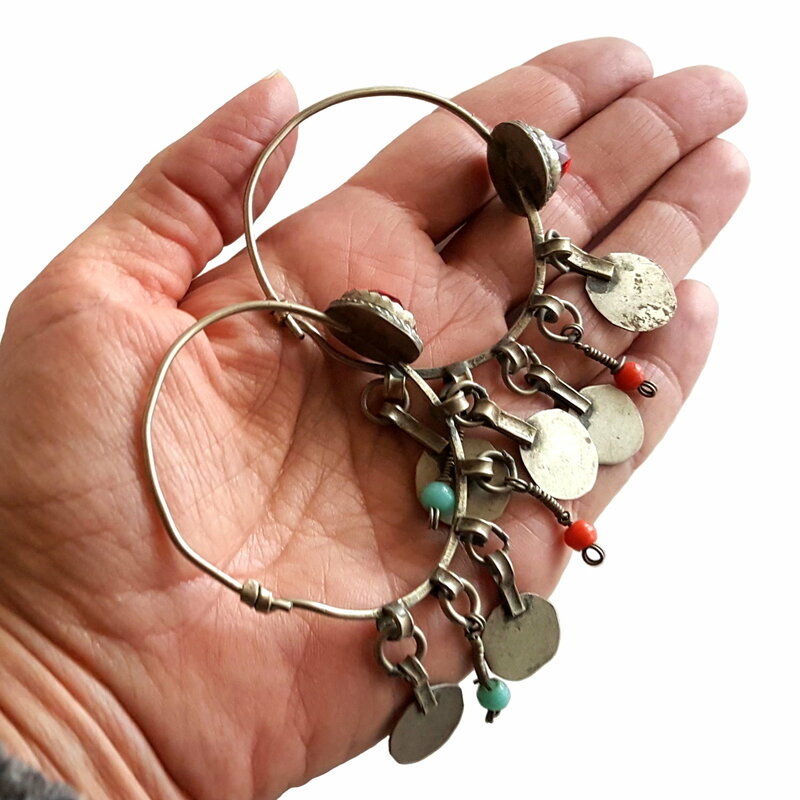 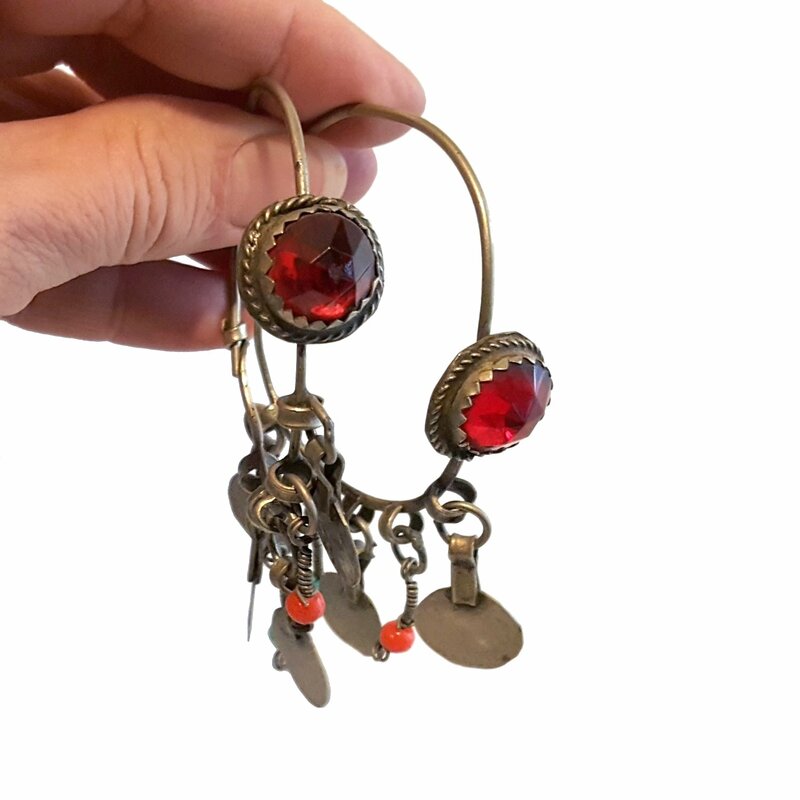 Old pair of tribal hoop earrings from Morocco. 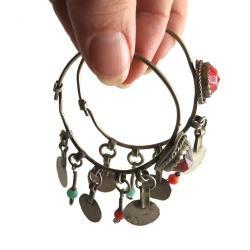 Wires are a bit thick, perhaps a 12 gauge. Wire end fits into a small pocket to close and remain secure. 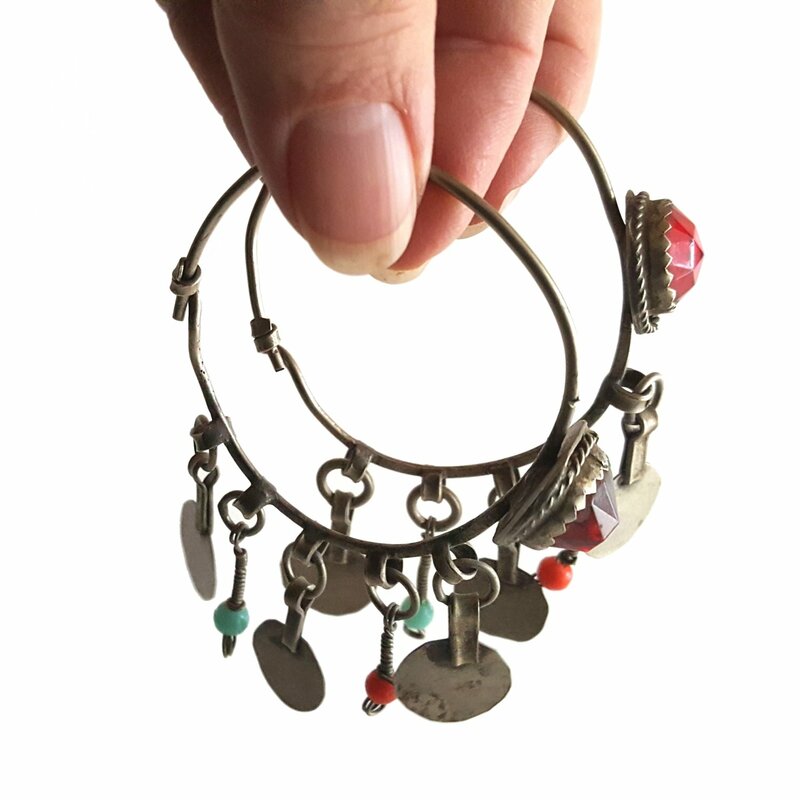 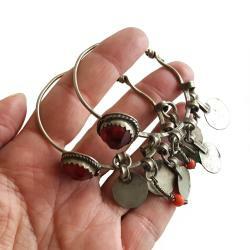 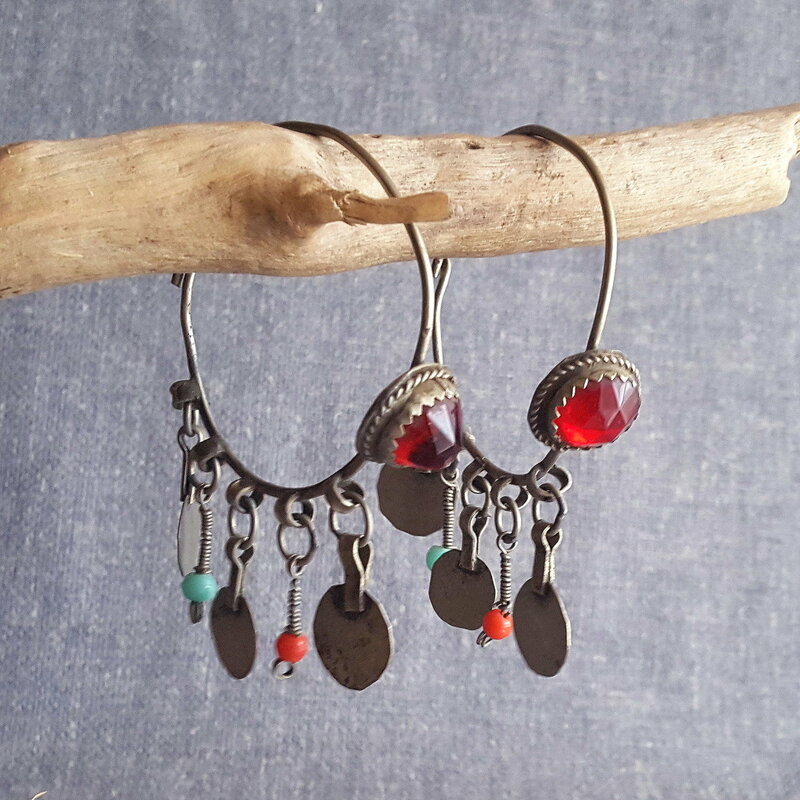 Large red glass jewels and red and blue beads adorn the hoops, along with small faux coins. Hoops are 2.25 inches across and measure 3.25 inches from top of hoop to bottom of dangles.